One reason people choose vinyl over other types of flooring is that it’s significantly cheaper. If you have a large area of floor to cover (or several rooms), the costs can add up quickly. The great thing about modern vinyl flooring is that it isn’t that different in appearance to solid wood floors, tiles, or stone. Vinyl comes in a range of designs that look very convincing. In the past, some people may have been put off by the artificial look of vinyl flooring but this is no longer an area for concern. Vinyl flooring is incredibly easy to maintain, and if installed well can last for many years without much maintenance needed. Solid wood flooring usually requires a lot more maintenance and needs to be varnished or oiled regularly for it to remain in perfect condition. Stone or tile floors also have to be treated regularly and have the risk of breaking over time due to foot traffic or items being dropped on them. This means that stones or tiles may need to be replaced, which can be costly, or even impossible if the designs have been discontinued since you purchased them. Vinyl flooring requires very little maintenance and usually needs nothing more than to be mopped as part of your standard cleaning routine. 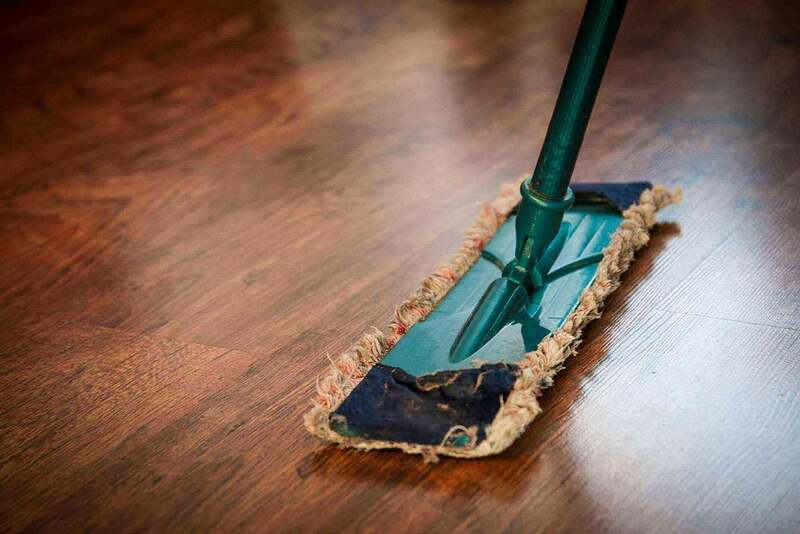 As mentioned above, cleaning vinyl flooring is relatively simple when compared to other types of flooring. Due to it being stain and water resistant, it doesn’t require specialist cleaning products to keep it looking brand new. Other types of flooring, particularly solid wood flooring, can be absorbent and stain very easily if dark liquids are spilled on it. The nature of vinyl flooring means that it does not harbour germs or harmful bacterias like other types of flooring, which can be particularly good for anyone suffering from allergies. In addition to this, vinyl flooring is dust resistant and will not hold dust or hair like other types of flooring. This is good for anyone that suffers from breathing difficulties, or those with pets. Other types of flooring, especially stone or tile can be very cold underfoot, especially for those that are often barefoot at home. Vinyl flooring holds heat well, meaning it can be a favourable temperature to walk on without your shoes. Installing a vinyl floor is incredibly easy and can be done in a very short space of time. Other types of flooring can take days to fit, especially tile or stone, which cannot be walked on for a long period of time after being laid. Vinyl flooring usually comes as either tongue and groove planks that can be glued down or left floating, or self-adhesive tiles or rolls. This means that no mess is created when installing a vinyl floor, and it can be walked on very shortly after installation. Vinyl flooring can be installed in any room in the house, unlike other types of flooring, there is no limit to where you can lay it. It’s great for rooms that are exposed to a lot of moisture such as bathrooms, or kitchens, or can look great in bedrooms or living areas. The inexpensive and durable nature of vinyl floors means they are suitable for any environment and will last for years to come. Vinyl floors are great for anyone who is on a budget or has little time on their hands. Vinyl is a durable and cost-effective alternative to other types of flooring and comes in a range of colours and styles to suit any colour scheme or design. Feel free to ask us any questions.